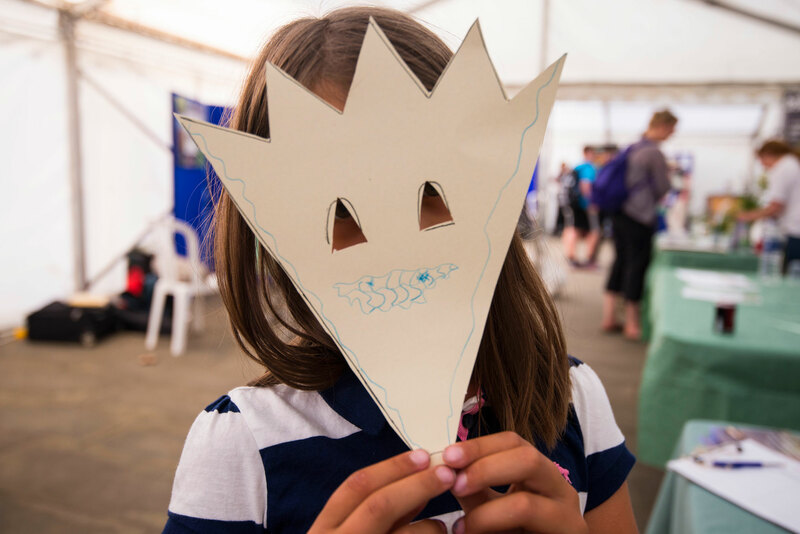 The weather was glorious for our annual Big Nature Day on Saturday 13 July. Over 4,000 visitors joined us to explore the best of British wildlife in and around the Museum, and soaking up the best of the British heatwave too. 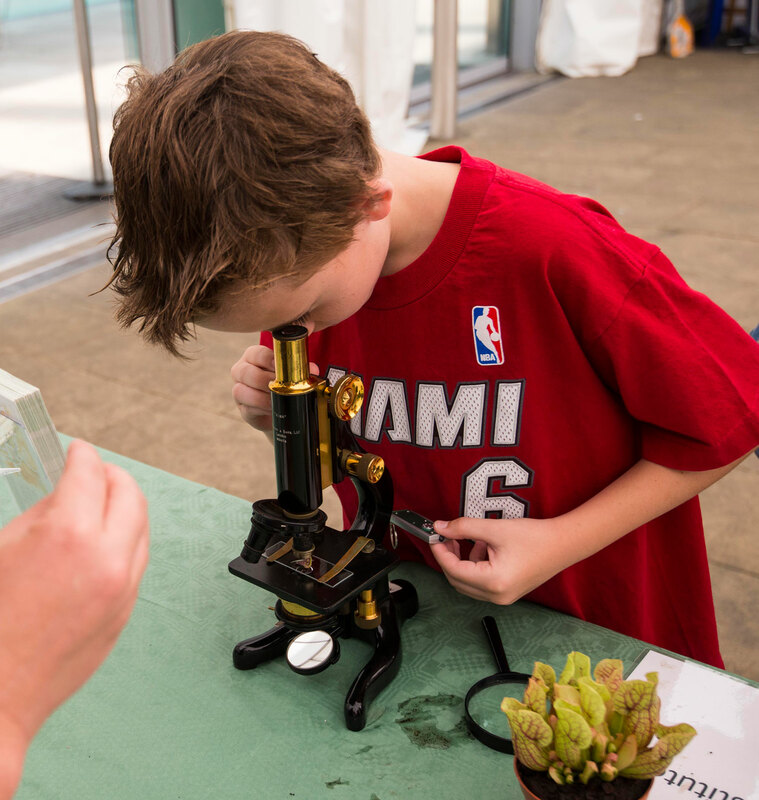 Examining insects and pond life at the outdoor displays in the sunny Wildlife Garden - among the most popular activites at this year's Big Nature Day. Select all images to enlarge them. Tiny hands get a close encounter with the smooth snake which was brought along by the Amphibian and Reptile Conservation group. 'The marquees and Wildlife Garden were packed with over 30 stands showcasing wildlife as diverse as dragonflies, ferns, snakes and insect-eating plants. 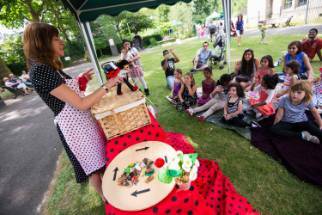 The Spotty Dotty puppet show attracted lots of the younger visitors with ladybirds and insect friends. Left: The Spotty Dotty puppet show entertained the young ones and taught them about ladybirds and more. 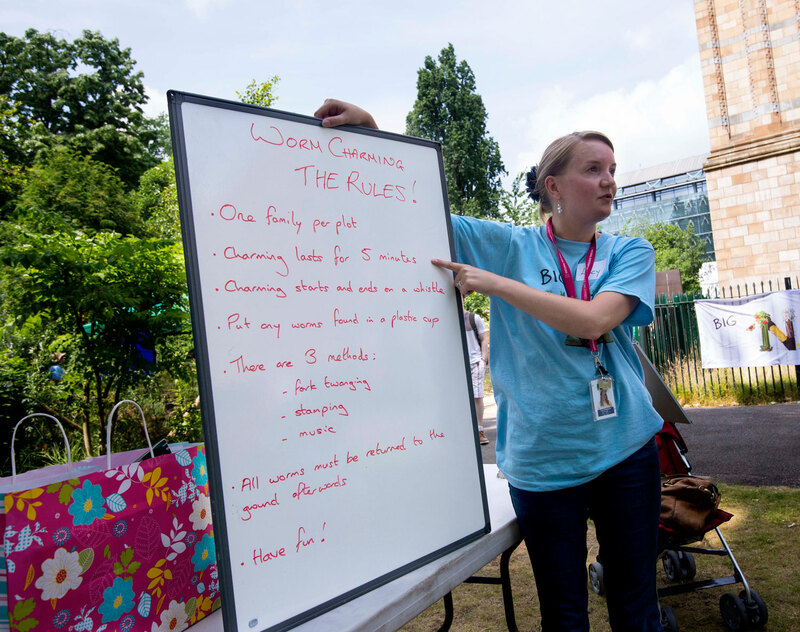 Right: Lucy reading out the worm charming rules before the teams got stuck in. 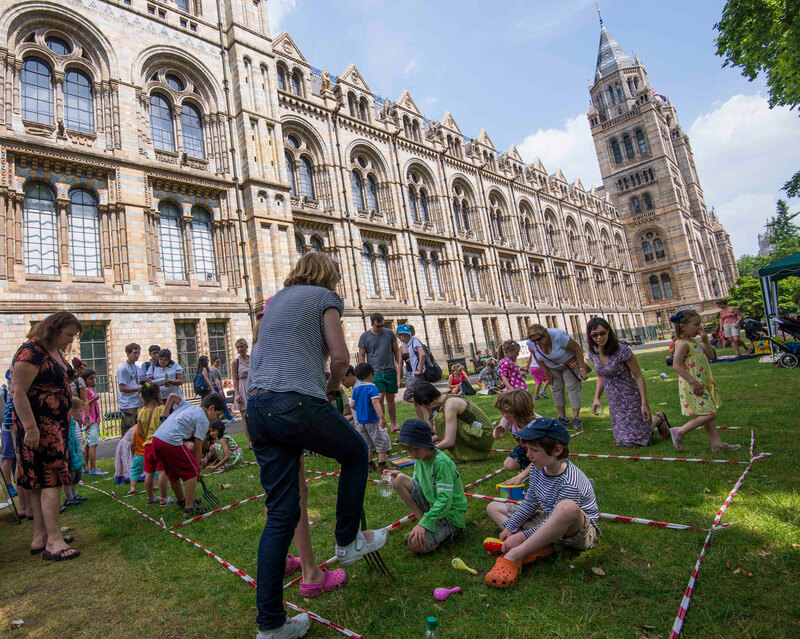 'Our worm-charming competition on the front lawn featured some fierce rivalry, but sadly no worms (who were sheltering deep underground from this hot weather!). Neither fork-twanging, stamping or even music could bring the worms to the surface. However, people could see and hold live worms at the Earthworm Society of Britain's stand in the marquee, so they didn't go away too disappointed. Worm charming competitions on the front lawn in full sway - participants could twang forks, stamp and make music. 'Some unusual and intriguing things the visiting nature groups brought included carnivorous plants from the South London Botanical Institute, a large metal hedgehog sculpture from the People's Trust for Endangered Species, and some live reptiles courtesy of the Amphibian and Reptile Conservation trust. 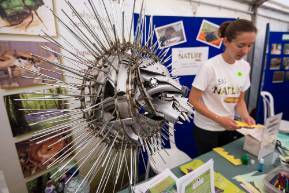 The People's Trust for Endangered Species stand showed off a fabulous hedgehog sculpture and invited hedgehog mask-making. 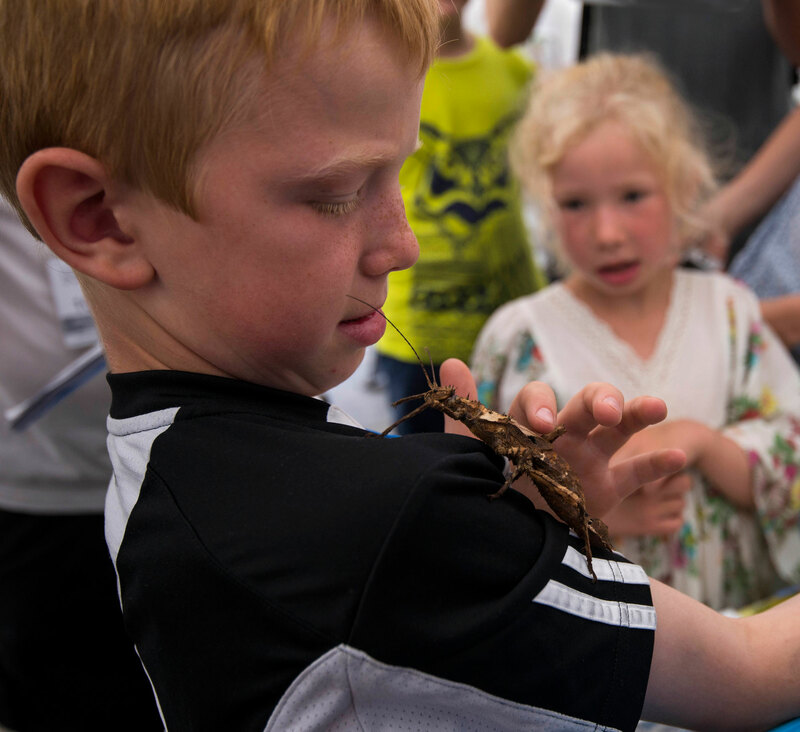 'One of the challenges of organising the event was how to keep the reptiles cool on such a hot day – we had to freeze lots of ice packs and wrap them in fabric in their tanks to give the reptiles a cold area where they could cool off when not entertaining our visitors. Left: Discovering unexpected animals on the ladybird hunt. Right: Spider expert Tom Thomas from the British Naturalists Association leading the spider safari in the Wildlife Garden. 'Making pipe cleaner dragonflies with our dragonfly curator Ben was also really popular (they made over 400 dragonflies before they ran out of materials!). And the spider safari through the Wildlife Garden led by expert Tom Thomas from the British Naturalists Association, along with some fabulous face and body painting.attracted many fans. Fantastic and original face painting was a hit with families as was zooming in on invertebrates. Thanks Lucy. We were also told by our Wildlife Garden team that over 60 insect hotels were made by enthusiastic young visitors, using recycled plastic bottles which they filled with reeds from the Wildlife Garden pond. 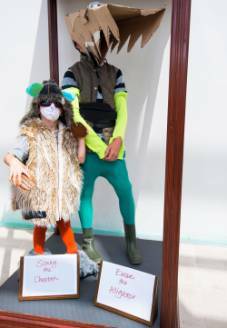 Other kids' favourites included the Amateur Enomologists' Society's New Guinea spiny stick insect, the chance to become the Museum's latest specimens on display (right), and dissecting owl pellets (below) with the London Natural History Society. 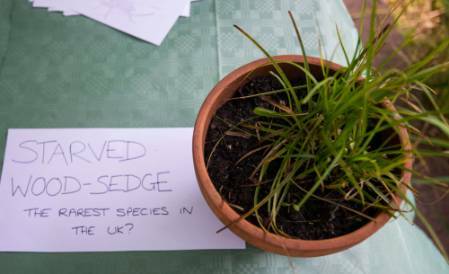 And the Species Recovery Trust shone the spotlight on some of the UK's rarest species... starved wood sedge, pictured below. 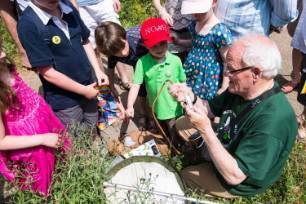 Roll on the next Big Nature Day in 2014. They may be small and spotty, but ladybirds were certainly one of the most photographed and collected creatures on our Big (and blustery) Nature Day at the Museum. 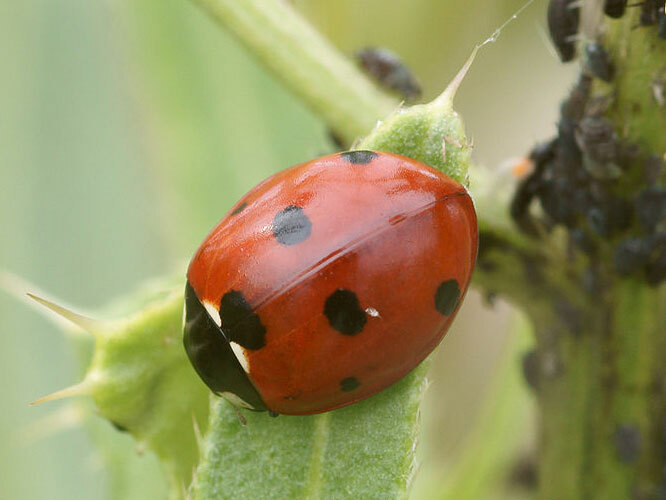 Actually, this may cause our scientists a bit of concern because many of the ones found were the invasive harlequin ladybirds, Harmonia axyridis. 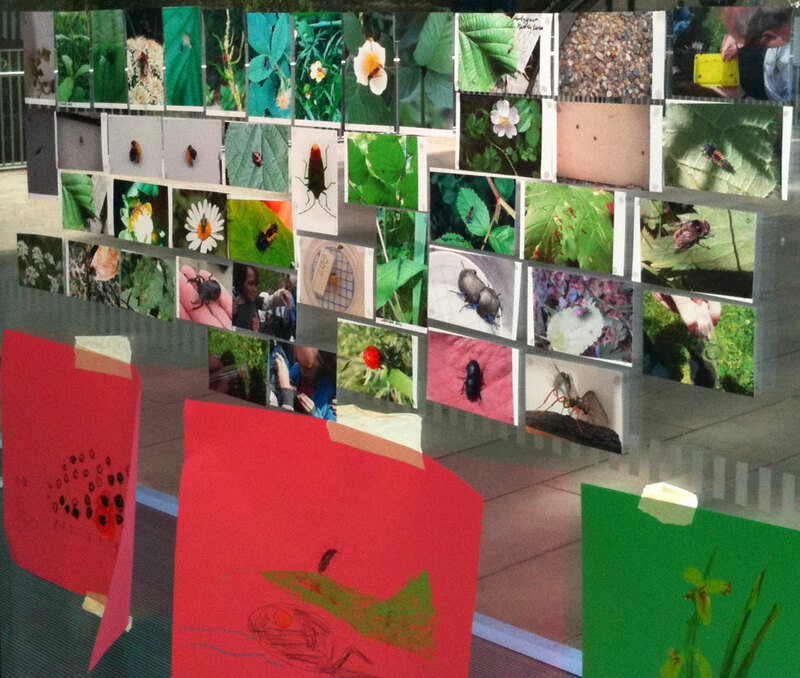 A selection of ladybird photos taken on Big Nature Day. Top row: All harlequin ladybirds, first is a larva. 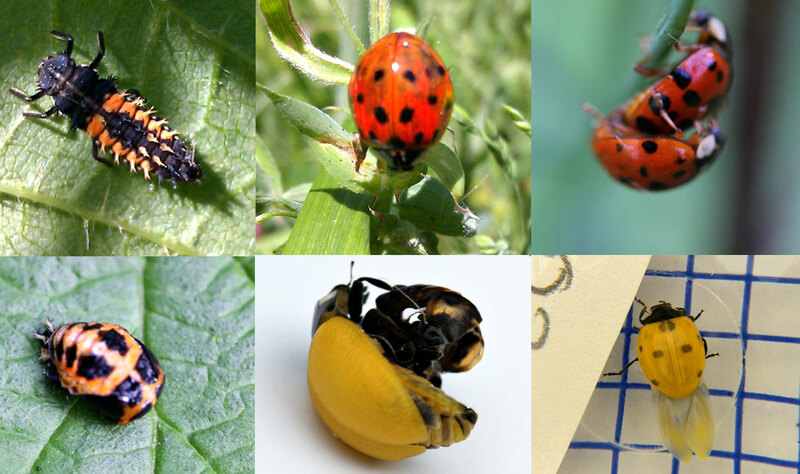 Bottom row: Left, an orange harlequin; middle and right, a 7-spot ladybird emerging from its pupa - its yellow colour turns to red in about 24 hours. On the day hundreds of visitors, including many excited children and myself, joined in the Big Nature Count, a bioblitz of the Museum's Wildlife Garden. Researchers and volunteers were out and about with traps, nets and cameras, conducting samples of wildlife in the 24-hour nature census. A big malaise trap tent had been set up for flying insects, light traps for moths and pitfall traps - little jars in the ground - to attract ground beetles and slugs. 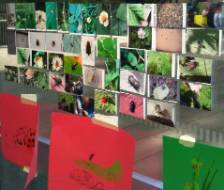 We were celebrating the International Day for Biological Diversity on 22 May. It was sure to be a busy event. With over 300 plant species in the garden there is a lot to attract a wide variety of insects. The meeting point was the Base Camp tent outside on the Darwin Centre Courtyard, where groups could follow Big Nature Count guided tours with our Museum scientists. But many people simply made their own trails through the Wildlife Garden. Inside the Base Camp tent, scientists sorted through the samples collected. There were lots of things to see, like a huge stag beetle that I even let run across my hand. 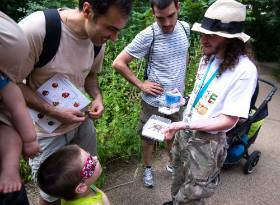 Out in the Wildlife Garden on our discovery trails, we stopped at various tables dotted around the meadows and ponds. Here, helpful experts suggested places to search. On the tables were displays of creatures and samples already collected. My favourite place was the pondlife table. I got rather attached to a shy toad. Heading into the Darwin Centre atrium after our garden adventures, we had some of our photos printed and added to the Photo wall (below left). 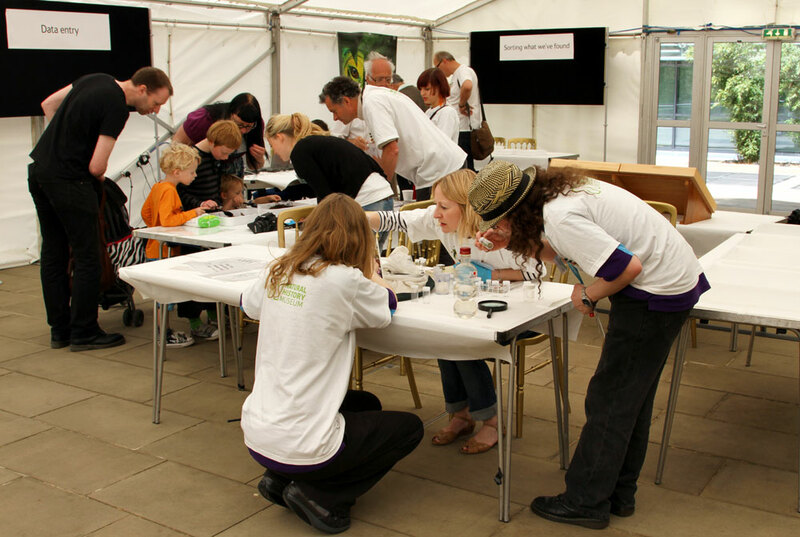 After that, it was off to the Specimen Roadshow (below right) to marvel at Ed Buller's flies and wasps, Sandy Knapp's vegetable extravaganza and some 'mucky' soil identification tests. 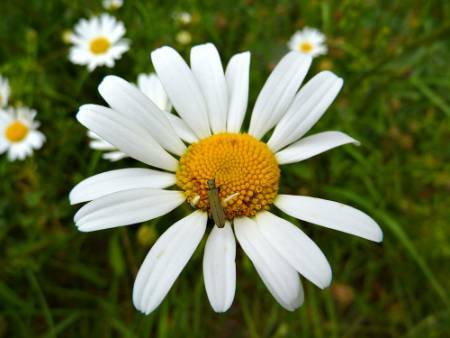 Our entomologists, however, were excited to discover an unusual fly in the day's bioblitz. The little drab wood soldier fly, hasn't been seen before in the Wildlife Garden. 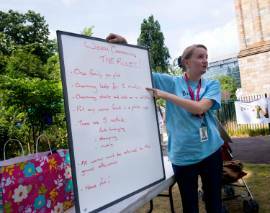 Read the news story about the unusual fly found in the Museum's garden bioblitz. 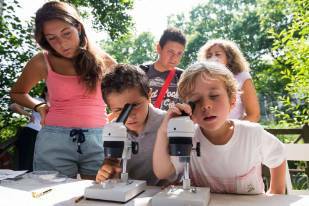 All in all, hundreds of plant and animal species were found in the Big Nature Count. Most of the creatures collected were set free after they had been recorded, but a few individual specimens will be kept in the Museum's collection because they are important for research. It will take a bit more time to identify everything and interpret the findings so we can understand more about our local wildlife, but we hope to have a final count shortly. Look out for a video account of the day coming soon. Here's one of my favourite photos taken at the Big Nature Day of a flower beetle, Oedemera lurida, feeding on the pollen of an ox-eye daisy. There's no doubt about it, when you join us for our Big Nature Day extravaganza this Sunday on 22 May, you'll get your hands dirty. 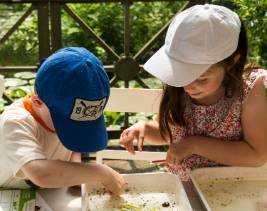 But that's pretty essential if you're going to help our scientists and wildlife experts in the Big Nature Count to find and identify how many different species of plant and animal there are in our Museum Wildlife Garden. It's a 24-hour census - or a bioblitz race for those familiar with the term - to celebrate International Day for Biological Diversity and International Year of Forests, as well as the start of the UN's Decade on Biodiversity. 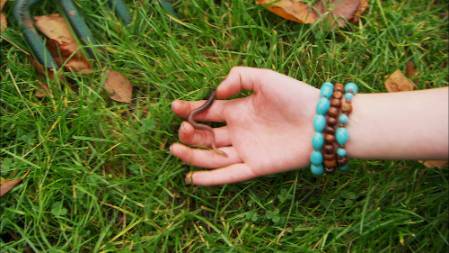 Along with the regular Big Nature Count guided tours, worm charming (above) will be a popular highlight of the day. There are two sessions at 12.00 and 15.00. The recent rain should help lure the worms to the ground's surface. Although we're hoping that the sun will shine gloriously on the day, of course. Other garden action includes the Bugs Count, Tree Hunt, moth trap checking, investigating pond life, and check out the Bee Tree. 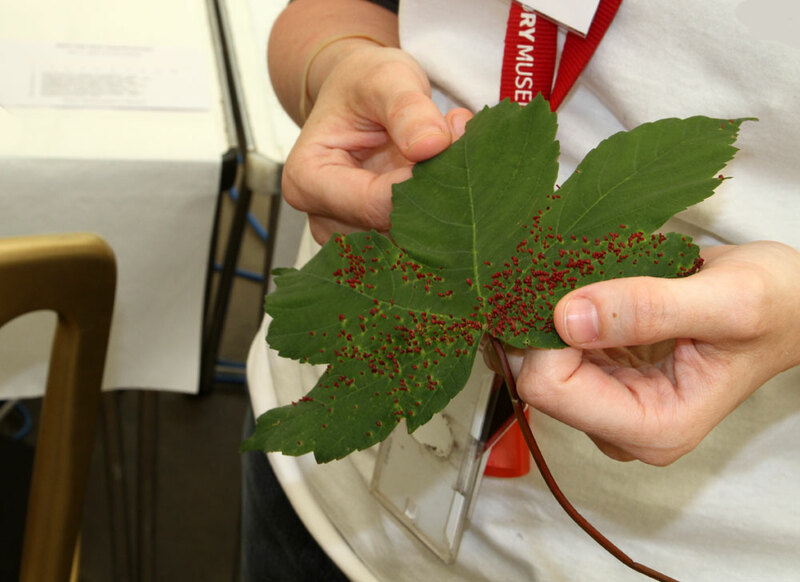 Inside the Darwin Centre, head over to the Specimen Roadshow to identify your favourite specimens (or bring in a picture) and there are nature talks in the Darwin Centre's Attenborough Studio. Most important of all, though, bring your cameras or have your mobile phone to the ready to snap the species you do manage to spot. 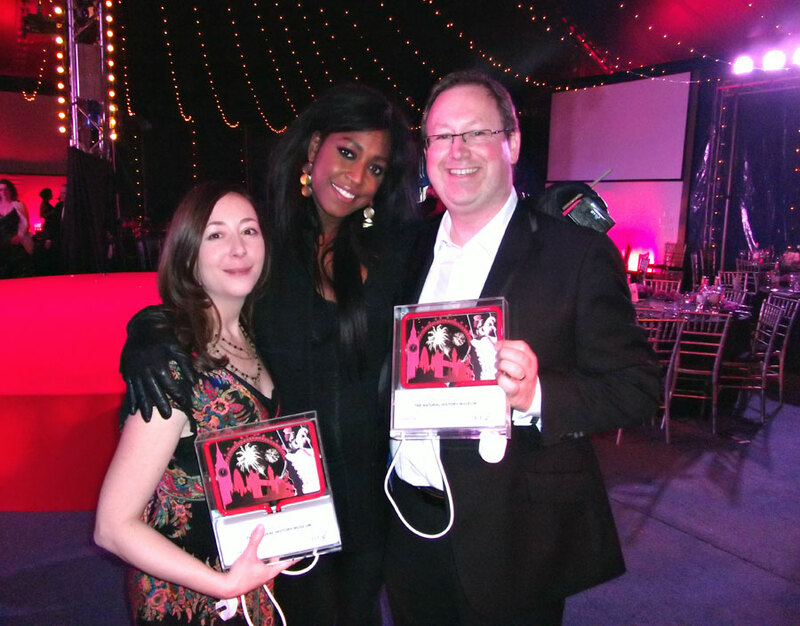 With these, you can help us create a spectacular Photo Wall in the Darwin Centre atrium at the Interactive Media area. You can print your pictures here for the display or upload them with your comments to our Big Nature Day guestbook on the computers available or at home afterwards. 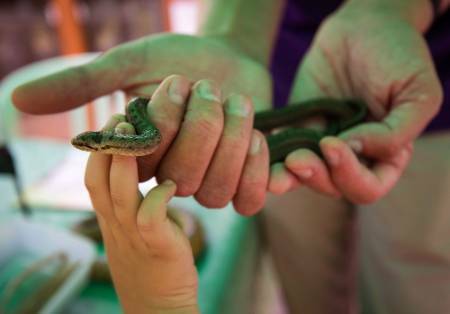 Big Nature Day is a free, drop-in event that will appeal to all ages, but you'll need to book on the tours and worm charming sessions. When you arrive at the Museum head for the West lawn or Darwin Centre atrium where you'll be directed to the Base Camp in the Darwin Centre Courtyard, the hub for the day's activities, and where you can see lots of special displays. 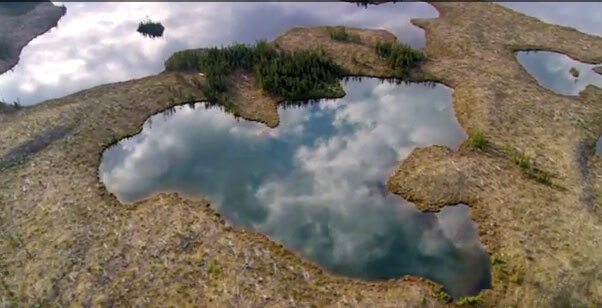 If you want to see an amazing nature documentary by The Earth From Above photographer Yann Arthus-Bertrand, head over to the nearby French Institute for a special free screening of Home at 18.30. Our Museum botanist Sandy Knap is introducing the film. Although it's free you need to book a place on their website. I'm completely in awe of trees. Especially the trees that flourish, magically, amidst the concrete and bricks, and the metal, rubber and glass of London's busy streets, where I live and work. So I'm very happy to be telling you about our new online Urban tree survey. 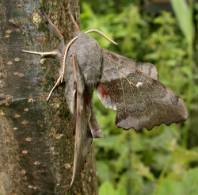 This nationwide survey, that launched on Friday 16 July, will be one of the biggest tree surveys ever. 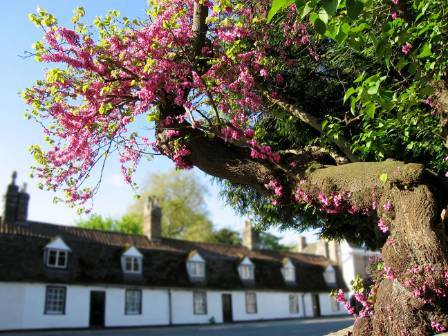 A Judas tree in Cambridge © Andrew Dunn. This was our Species of the day to mark the launch of the Urban tree survey. Although we know a lot about Britain's rural tree population, relatively little is known about the trees in urban areas. We're being invited to record particularly what's in our private gardens and local streets and parks of urban Britain, so our scientists and botanists can build a picture of what trees are growing where, and also find out how the urban tree population is changing. Our survey focuses on 80 different types of tree normally associated with an urban environment. 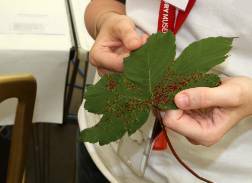 I'm told that one of our most widespread trees is the sycamore, and in urban areas, the closely related norway maple may be as common or more so. 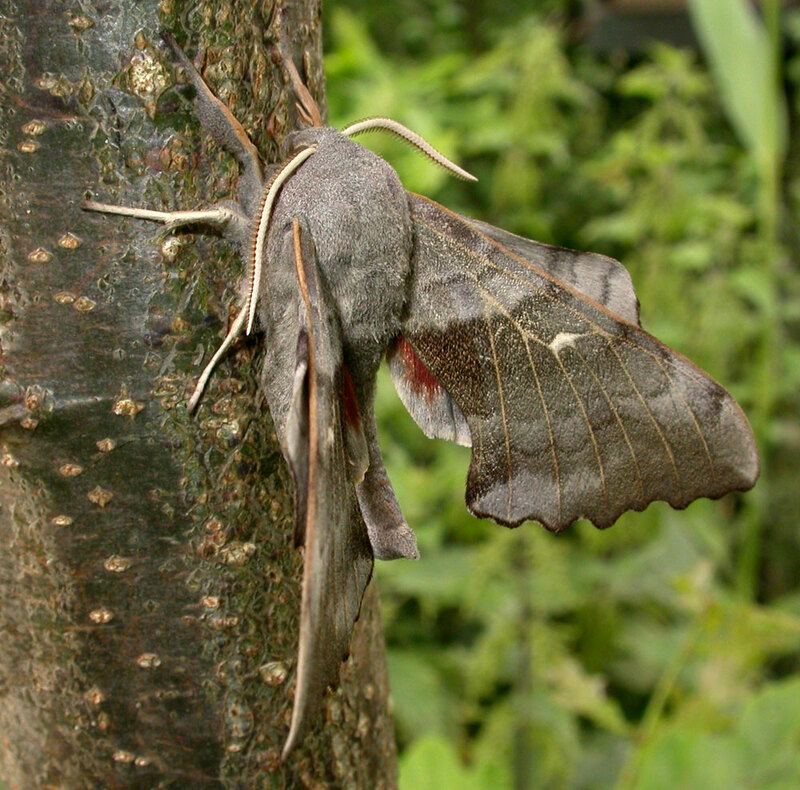 These species were introduced to the UK. But we don't have actual numbers for the most common trees, only data on which are most widespread. 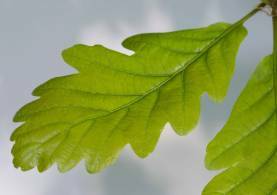 There are lots of resources on the Urban tree survey website to help with tree identification and advice on how to take part in the survey. I recommend watching the Identify trees video first, which shows you what things to look out for to identify your trees correctly. Especially enjoyable because it's filmed in Holland Park, one of London's best parks in my opinion. To record your findings on the survey, choose an area you want to survey first, and think about the things you'll need to consider before you start recording your trees. 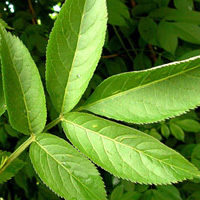 For example, are the tree leaves hairy? Are they needle-like or scale-like, broad or lobed? What about fruits or cones? Petals, twigs, bark and importantly what does it smell like? The Tree identification key which you can download and take with you, will help with all this. You can check your identification using our online interactive identification key. Read the news story about the Urban tree survey for some fascinating facts about the survey and our knowledge of trees. Explore the lovely Judas tree Species of the day that marked the launch of the survey and is the main photo above. It's also featured in the survey. Now where did it get its name, I wonder? The Urban tree survey will run for 3 years and our Cherry tree survey launched this spring is part of it. Get fit. Give up cigarettes and alcohol. No chocolate. Move... Resolutions, resolutions. How about sparing a thought for a species every day? To celebrate the fact that 2010 is the International Year of Biodiversity we're bringing you news each day of a different species that our Museum scientists feel important to draw to your attention. So 365 days, 365 species. From the tiniest algae and bacteria to powerful plants and mighty whales, each species is written about by a Museum scientist. A different species' fact-file will be published on our website and announced on the homepage each day. Some will features video clips too. On New Year's Day we launched our Species of the Day online. 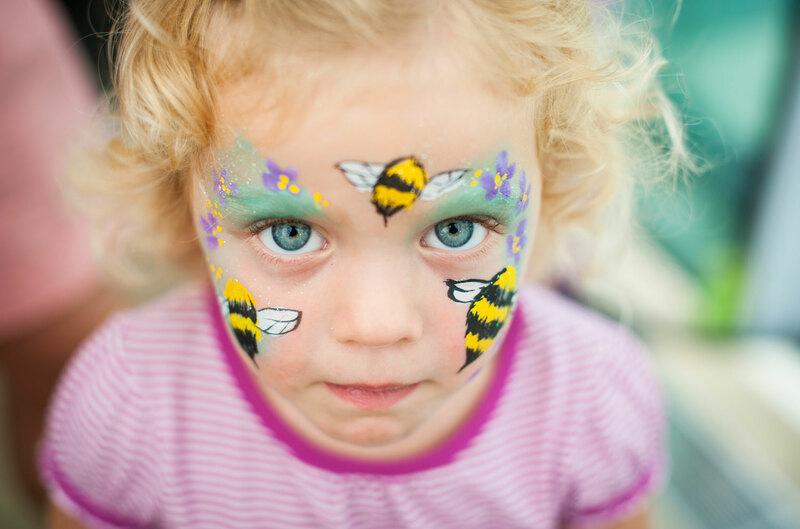 We paid homage to the much-loved great yellow bumblebee whose survival here is under threat because of habitat changes and the loss of deep flowers. You can find out more about great yellow bumblebees and their conservation on the Bombus distinguendus species fact-file. 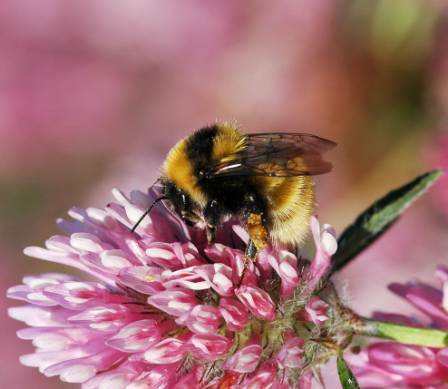 Our bumblebee expert Paul Williams explains, ‘Species of the day is a great opportunity for people to find out about what we can do to help valuable species that are facing challenges from man-made environmental change’. But it's not just endangered species that will be featured. Some scientists have chosen species which are part of their research or that have particularly interesting or unusual behaviour, or because of their value to science or economic impact. Read the Species of the Day news story and have a look at what we have featured online already on Species of the Day. Today’s little wonder is the strong-muscled sea urchin, Eucidaris metularis (shown right). 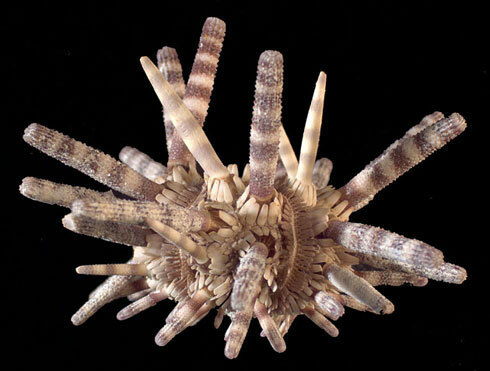 Did you know that sea urchins have been around for the last 150 million years? Watch out, there are some really bizarre and quirky organisms coming your way. Species of the Day is part of our involvement in the 2010 International Year of Biodiversity in the UK. 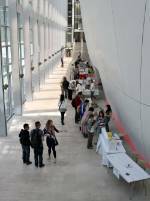 It also highlights the work of the Museum’s many scientists who work here behind the scenes.